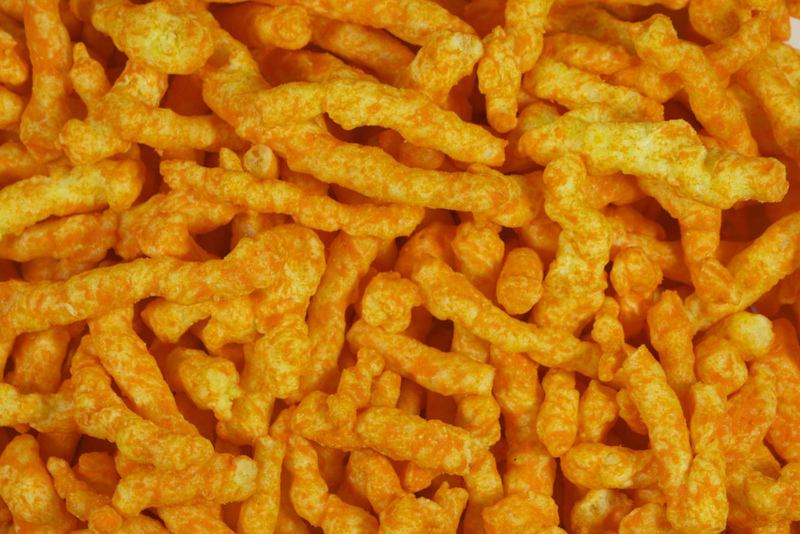 Cheese Puffs have a range of reference names: Cheese Balls, Corn Curls, Wotsits, Puffed Corn, Cheese Curls. They are made from corn dough. The manufacturing process sees heat extruded through a die tool that forms a shape from the corn dough. Popcorn was first discovered in Guatamala millennia ago. There is evidence of Popped Corn from 4,700 BC. Put simply, when a kernel of corn is heated it puffs up and pops. Strains of Corn are now cultivated especially for this use, with particulalry hard hulls. 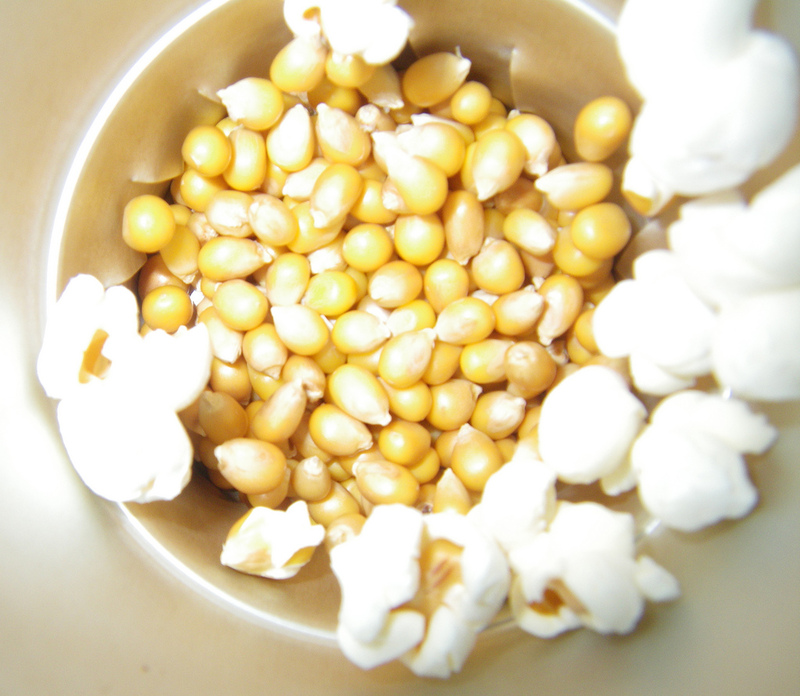 A 20th century development in the USA, was the serving of Popcorn at movie theatres. It was easy to produce on carts with heat popping machines. Popcorn is served salted, with butter or sweetened with caramel. In the UK it is available in toffee flavours or plain salted. The Mexican Tostado is made from corn, vegetable oil, water and salt. The Tortilla Chip is a derivative of the Tostado and was developed by Rebecca Webb Carranza in Los Angeles, with a particularly impressive ‘waste not want not’ attitude – she took misshapen and discarded Tostados, cut them into small triangles and fried them. Apart from perhaps nuts, Tortilla Chips are probably the most versatile snack, and certainly the most versatile Chip looking snack. Aside from being the supreme Dipping Chip, a variety of uses have been modified from Tostado recipes and snacks. Like Potato Chips, they come in a variety of flavours such as Tangy Cheese and Spicy Jalapeno. While the corn in tortilla chips is subjected to the nixtamalization process, a variation; The Corn Chip, is made from cornmeal and baked or fried.